Start with the help of a scale, as it is very crucial to lose your weight on your own. You can measure your progress on a scale as it would help in keeping a check on your fats. 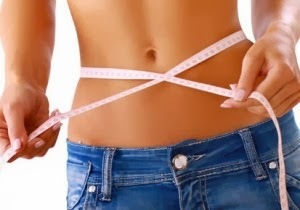 Measure the width of the abdomen so that you could easily visualise it. With your balanced diet, you could lose the belly fat very easily. You should make a proper schedule and most important thing is to follow it regularly. Improving your habits for eating is one of the most crucial measure in order to reduce the fat on the belly. An effective fat burning tip is to take a huge amount of high quality of proteins in the form of meats, carbohydrates in the form of fresh fruits and vegetables, as well as fats like nuts, olive oil and seeds. If you skip your breakfast, then you just can not imagine yourself as a slim person. With a healthy and nutritious breakfast, you will not only keep your hunger in check but also ensure that you keep your energy as well as your body metabolism very high. Drink upto 10 glasses of water every day: Drinking 8-10 glasses of water in a day, will definitely do a lot of good to you, as it would increase speed of the weight loss procedure. Water helps in flushing the toxins as well s the excess fats from the body. It would also reduce your appetite and thus prevent you from over eating. It is advised to move around as much as you can, as it is a very healthy habit. It is suggested not to sit at the desk or in front of the television or the computer and without getting up for hours. It would build the body fat in you and do no good in reducing your fat on the belly.